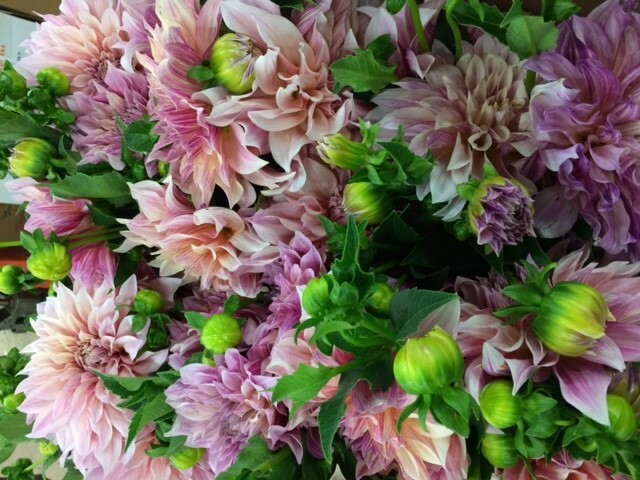 Locally-Grown Dahlias for Fall Weddings! The variety is Café Au Lait. (Pronounced Café o lay) The season will last until the first freeze. These blooms range in shades of creamy pink, blush, peach, ivory, champagne, and dusty rose. Locally grown in our flower fields throughout the Midwest.